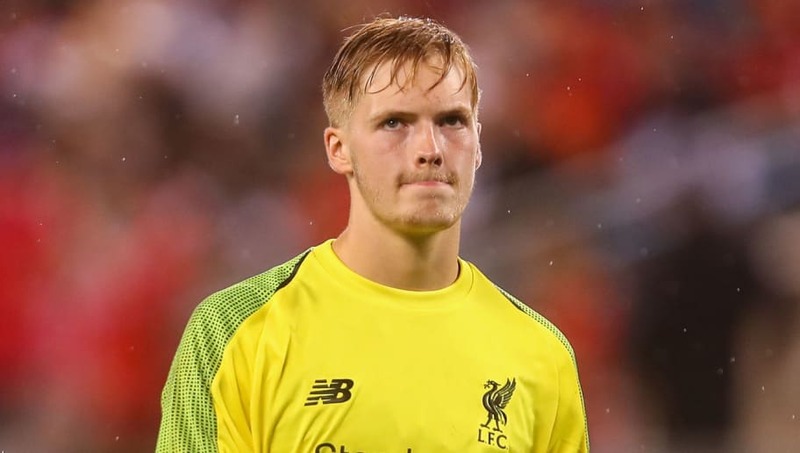 ​Liverpool are facing a minor goalkeeper crisis after youngster Caoimhin Kelleher was ruled out for a month with a calf injury suffered in training. The ​Liverpool Echo reports that the 19-year-old came off worse in a heavy collision with Divock Origi, leaving him with a painful cut and an even more painful setback. Kelleher could have been in line for his first ever appearance in a ​Liverpool matchday squad this weekend, with Simon Mignolet racing to be fit after picking up a hand injury on international duty with Belgium. The young Irishman rose in the pecking order with some solid performances in pre-season, becoming Liverpool's third choice goalkeeper after Loris Karius was loaned to Besiktas. Kelleher will be disappointed to miss out on his place in Saturday's squad, which could instead fall to Polish under-21 international Kamil Grabara if Mignolet is not fit in time. Grabara has also never played for Liverpool's first team and Reds fans will hope that he isn't called upon this weekend. Alisson will start after returning fit from his travels with Brazil. Liverpool are still hopeful that Mignolet will be fit to start on the bench on Saturday, leaving Grabara free to play for the under-23 side in their Premier League 2 fixture against Swansea. ​Liverpool have employed former Manchester United goalkeeping coach Jack Robinson to work with Kelleher and Grabara, with John Achterberg continuing to oversee Alisson and Mignolet.